It's Saturday night, and Tim and I spent all day in the woods. And since the end of the world didn't show it's ugly face, I suppose we'll have to pay the bills and feed the cats after all. But that can wait until we're done being lazy by the fire. See, the way we seen it, if we were going to be "called" today, then we were going out in style. Our style, that is. 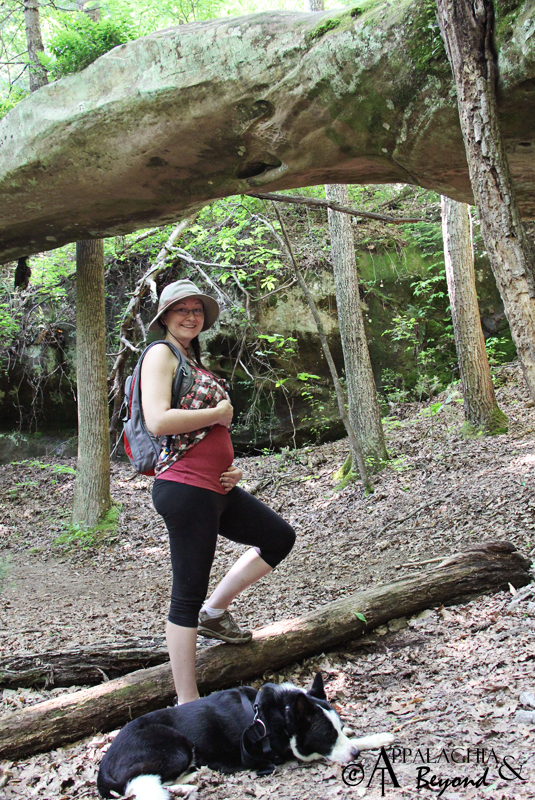 We dressed ourselves in our favorite hiking clothes (well, I had to improvise a bit as the baby has caused my favorite hiking pants to be a bit snug around the waist) and set out for a hike in the Big South Fork. It took me us all day to hike roughly 3 miles, and Tim and Clover were very patient with my numerous stops and out-of-breath-ness. Building a baby is hard work! We hiked to the beautiful Slave Falls - where I ruined the seat of my drawers by literally having to slide down large muddy rocks to get the perfect shot - and on over to Needle Arch where Tim took my 10 weeks photo. He doesn't know it yet but it was the perfect place to take this one since it occurred to me not two days ago that in less than seven months I'm going to be forced to pass a camel through the eye of a needle. Needle Arch - the beautiful, naturally-formed, sandstone archway - will never be the same to me again. I will forever look upon it with fear and dread. And with those thoughts in mind, it was slightly disappointing that Jesus didn't show up to give me a reprieve. On a side note - and a bit of personal trivia - what you may or may not know is that this is Tim and I's first birth together. Ashby - whom I've raised since she was three - is Tim's biological daughter and my adopted daughter. Although that's not relevant to our outdoors blogging, we thought it might clear up some things if we happen to sound like newbies all over again. I know Tim is looking forward to detailing our hike for you - he loves that part of blogging! And I love to let him do it. So for now, and since I'm still here, I'll be working on the photos for his post in the very near future. Oh, and Chip - these are just for you! 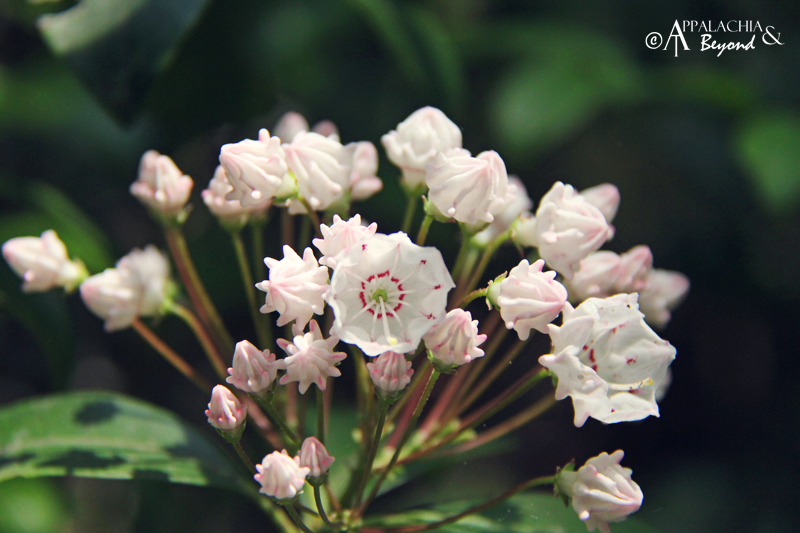 The laurel is starting to bloom in the BSF. Until then - Happy Weekend!